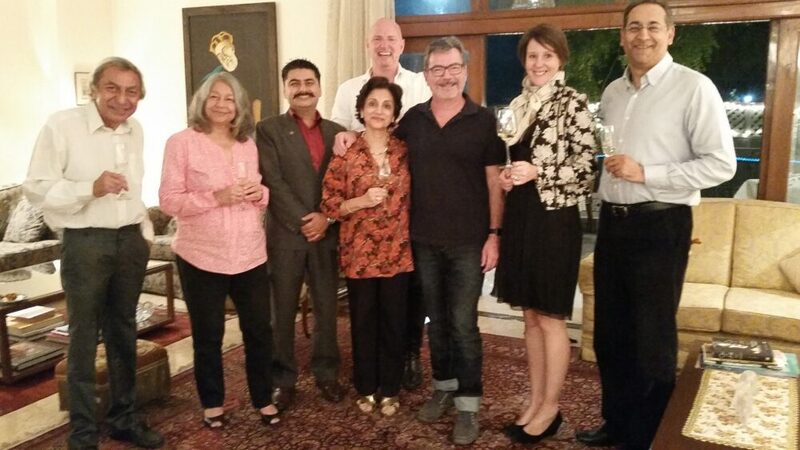 The Sommelier India tasting panel got together in early November to taste sparkling wines and champagne. The aim of our blind tasting was quite simple. With the rise in popularity of sparkling wines across the board, we wanted to compare bubblies from different regions produced in the methode champenoise with genuine Champagne. The tasters were individuals from the wine and restaurant business, winemakers, importers and wine writers who were asked to rate the wines on 20, after which an overall ranking was reached based on average scores. We tasted five Champagnes of which two were toppers, one faulty, and one that was rated very low “with a broken heart” as one panellist expressed it! 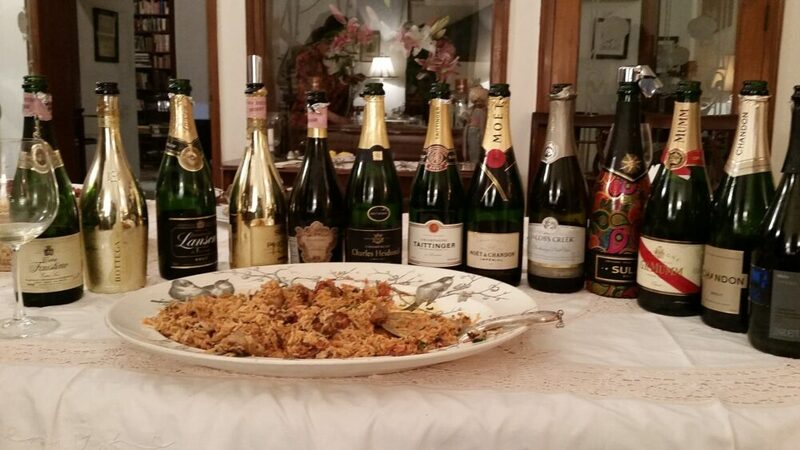 The sparkling wines acquitted themselves very well, almost on par with Champagnes. A blind tasting is not infallible but it removes atleast some of the biases that may occur if the labels are known. The discussion following the tasting after the labels were revealed was both lively and informed, and carried on well into the evening over a buffet of biryani and small eats. The wines tasted appear below in order of preference with tasting notes by Craig Wedge. Straw yellow green tinge. Complex nose of white fruit with caramel honeyed nougat notes, toasted brioche and spicy apple blossom. Developed secondary fruit flavours supported by a deliciously refined, old-world mouthfeel. Vibrant pale straw green tinge. Soft white fruit, candied apple/toffee notes and talcum floral perfume. Fresh crunchy acidity lends support to a balanced mouth of flavour. Great overall length and texture. Pale gold green tinge. Lifted green apple nose with floral, soap-on-a-rope perfume and subtle mineral undertones. Big mouthful of flavour and soft texture with good depth and mouthwatering acidity. Pale straw green highlights. Ripe fruit notes with lifted floral/ talcum overtones. Good overall weight and texture with clean vibrant acidity. Pale straw with subtle green hue. Lush fruit notes with a slight oxidative edge offering up both complexity and intrigue. Good overall flavour yet the wine promises more than it delivers finishing a little flat. Clean and bright pale straw. Vibrant ripe fruit with a soft oaky edge showing some additional winemaking complexity. A juicy mouthful of soft flavour supported with bright acidity and a good length and depth of flavour. Bright light straw. Cheeky nose of bubblegum fruit and honeysuckle perfume. Vibrant flavour with fresh acidity and good weight and appeal. Very moorish! Bright pale straw with fine persistent bead. Soft brioche notes with subtle sweet white fruit and mealy overtones. Very elegant mouth of flavour and texture, showcasing a soft mousse supported by a backbone of vibrant acidity and wonderful overall finish. Pale straw in colour. The nose shows lifted white flowers and ripe stone fruit notes, off-set by a slight mineral edge. Nice weighted wine with good mid-palate texture and fine bead supported by crunchy acidity. Pale straw. Fresh citrus notes with floral tones. Nice mouthful of flavour with medium weight and good acid lift. Golden yellow. Developed tertiary fruit characters. Ripe and oily maderised nose showing an old wine and old world essence. Whilst obviously past its prime and showing what time in a bottle and poor storage in India can do to a wine, it still showed a beautiful personality, a wonderful mouth of flavour and vibrant almost youthful acidity – the most talked about wine of the tasting. Unfortunately, faulty probably of uncertain provenance.